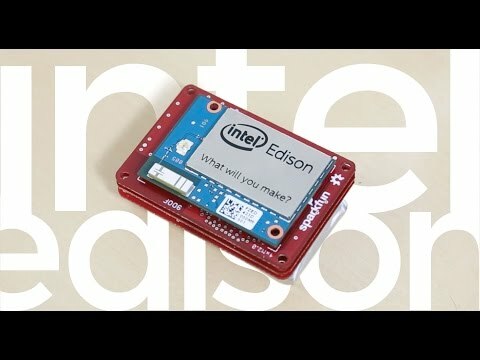 Piggyback an Arduino onto your Edison with the Arduino Block. This board features the same ATmega328P you’ll find on Arduino Uno’s, Pro’s, and Pro Mini’s. The 8-bit microcontroller workhorse is connected to the Edison via a selectable UART, so your Edison can interact with the Arduino over a serial interface.